After a series of high profile appearances including critical acclaim on Britain’s Got Talent and appearing at Croke Park for holiness Pope Francis. Veronica McCarron’s Aris Celebration Choir has just announced a first National Concert Hall on Friday 4th January 2019. 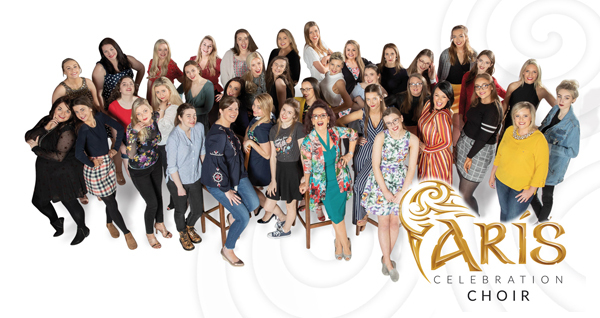 Directed by internationally renowned Veronica McCarron, Ireland’s talented Aris Celebration Choir have introduced countless people to the beauty, inspiration and joy of brilliantly performed choral music. Hailing from Kilkenny, this amazing all female choir embody everything that is great about the arts with their breathtaking live performances of traditional airs such as “She Moved Through the Fair” and more contemporary pieces such as “Go the Distance” and “Viva La Vida”. Their talent is quite literally, music to the ears.